Parents can help minimize children’s tooth decay by helping their little cupids make “sweet” and sound decisions this Valentine’s Day, during National Children’s Dental Health Month in February. In a Valentine’s Day heartbeat, pediatric dentists can tell parents that eating holiday candy today can bring cavities tomorrow. Tooth decay is a very serious countywide issue, but it is preventable. Chocolates like Dove Dark Chocolate Hearts®, M&M’s®, Hershey’s Kisses® or REESE’S Peanut Butter Cups Miniatures® have something in common: in a short period of time, they melt away and disappear (a better choice for your little cupid’s teeth). Chocolate-dipped strawberries are a great balance between sweet and fresh. Skipping the chocolate gives an even better tooth-friendly snack! PEEPS® Sugar-Free Marshmallow Hearts and sugar-free gummy bears can make a difference in lowering the chance of tooth decay. Wonka® PIXY STIX® Valentine Candy, Wonka® Lik-m-aid® Fun Dip™ Valentine Candy and other powdery candy pack a sugary punch, however, if poured onto the tongue and it doesn’t touch teeth, cavity-causing bacteria won’t have anything to feed on. These types of powdery sweets dissolve fast, leaving a lower chance for damage caused by bacteria. Conversation Hearts, although very popular, contain 14 grams of sugar per a 12-piece serving! Chewy candy like Jelly Belly® Cupid Corn and Red Vines® take longer to chew and eat and can leave sugar lingering in the grooves of teeth for hours. Valentine’s Day baked goods (e.g., sugar cookies, cupcakes, brownies, etc.) often contain high amounts of sugar, which can lead to cavities. Jolly Rancher Heart Shaped Lollipops, Skittles® Valentine’s Day Candy ‘N Stickers packs and other hard candies and suckers take long to dissolve and are the most harmful for a child’s teeth. At the very least, children should drink a glass of water after eating a sugary treat to help wash away some of the sugars and acids. While it may be unavoidable for children to receive some sort of sweet treat on Valentine’s Day, we recommend moderation! There are also other sweet-less alternatives worth giving, such as Valentine’s Day toothbrushes, stickers, and temporary tattoos. For children to keep a healthy smile during Valentine’s Day and all year round, children should brush their teeth at least twice a day for two minutes, and have regular dental visits every six months starting at one-years-old or when a child gets their first tooth. While parents should not forget to replace their children’s toothbrushes every three or four months, flossing daily is just as important to keeping up a healthy, beautiful smile. 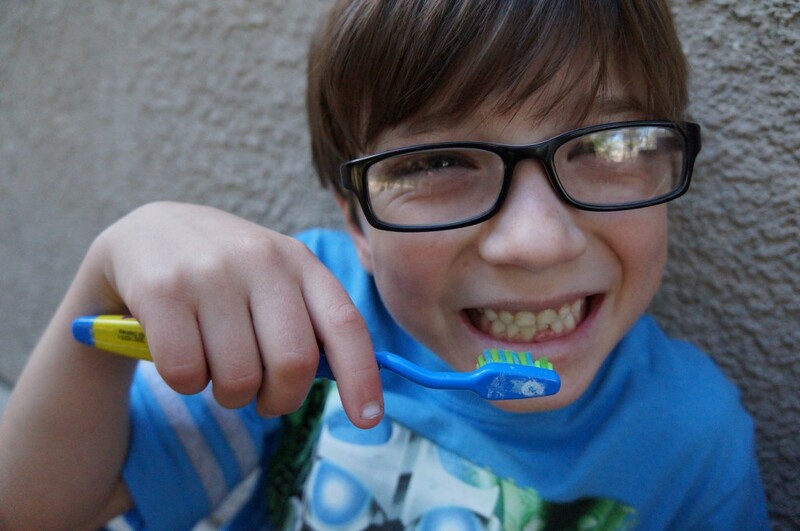 Liz Bear, CEO of Healthy Smiles for Kids of Orange County, brings 25 years of experience in the health care field and is passionate about spreading awareness on how parents can make a difference in their children’s oral health. Healthy Smiles is proud to celebrate its 10th anniversary this month, with more than 257,000 visits toward combating oral health issues, through their Garden Grove dental facility (Smile Center), partnership with CHOC Children’s (Smile Clinic) and their mobile clinic programs since its inception. I absolutely agree with you. Getting our child away from sweets is definitely a hard task to do. It’s really advisable to train them on how to be cautious on what they are eating and also on how to brush their teeth regularly. Patience is a must for this kind of responsibility, so be prepared.